While days are getting longer and temperatures are gradually warming, the Wood River Valley likely still has some cold and snowy days ahead, which will be some of the toughest for wintering big game animals. In late winter, wildlife begins to draw upon the last of the fat reserves they built up during summer and fall. Conserving the remaining reserves becomes critical, and disturbances can mean the difference between an animal surviving winter, or dying before spring green up. Among the potential stressors for wintering wildlife is human interactions. The 2019-2020 Idaho moose, bighorn sheep, and mountain goat seasons and rules booklets are available ONLINE. Printed brochures are available at vendors and Fish and Game offices. 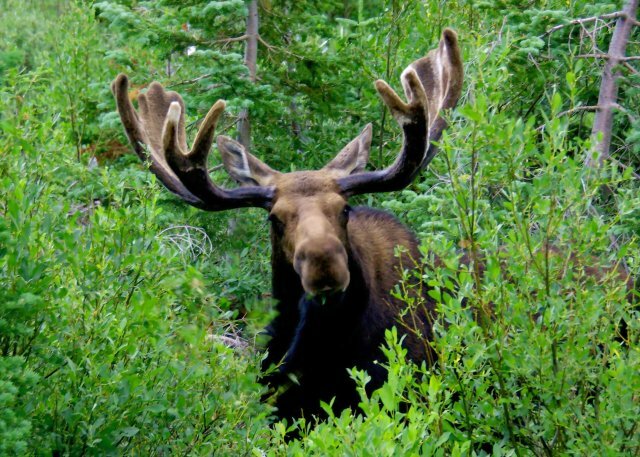 Please join Idaho Fish and Game Panhandle staff at the Ponderay Events Center on Jan. 2 from 4 to 7 p.m. to discuss ideas for the 2019-20 moose and mountain goat seasons at our second of two open houses. Details on moose, bighorn sheep, and mountain goat proposals and season setting process can be found here: IDFG Moose Sheep Goat 2019-20. People can comment now by following the link, and comments will be accepted via online, mail, or in person through Jan. 3. Tumors or cancer can be caused by a variety of things, although often the specific cause is not known. Tumors have been reported from a variety of animals worldwide, but are usually only seen in individuals. Tumors have been reported from a variety of species of wildlife in Idaho. Tumors vary in size and location. Tumors that are external are usually easy to identify because they are visible and can be very large. Internal tumors are usually not found unless an animal dies or is harvested. Large tumors or tumors that are widespread in various organ systems can cause illness or death in animals.